A stunning selection of wedding cakes featuring the beautiful chevron (herringbone) pattern. The first beautiful cake comes from Charm City Cakes and features four colorful layers with patterns in gold. 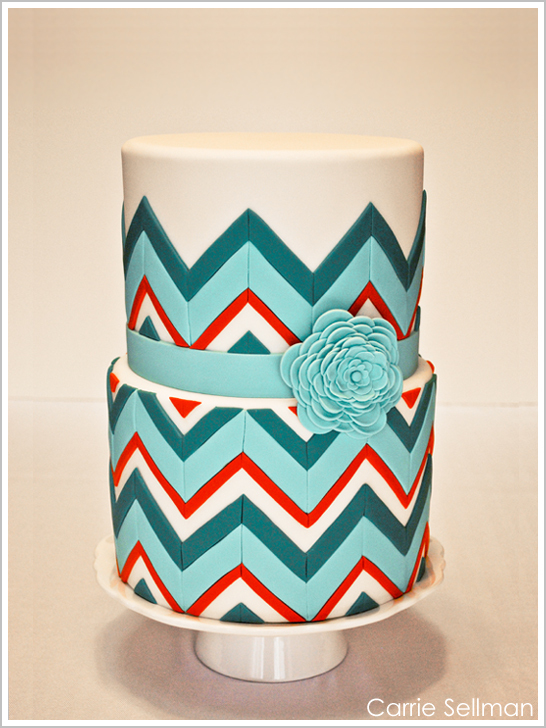 An ombre turquoise wedding cake with a chevron pattern from Cake Central. 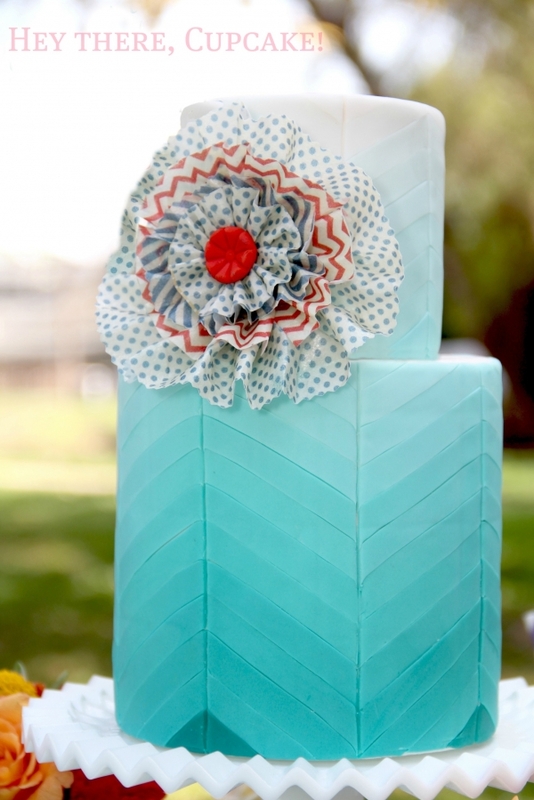 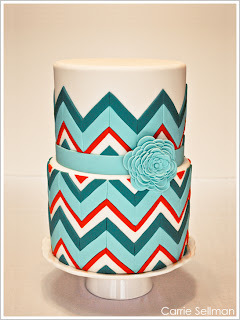 A teal, white and red chevron cake created by Carrie Sellman. 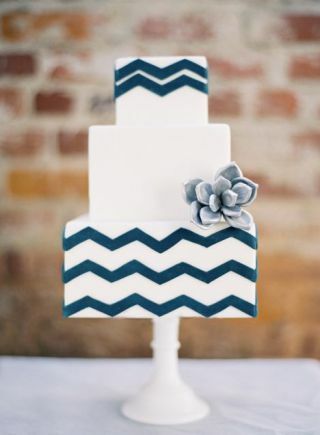 A gorgeous teal and white chevron pattern wedding cake from Sweet and Saucy. 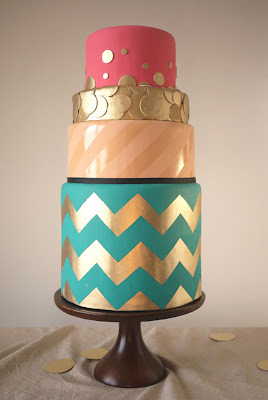 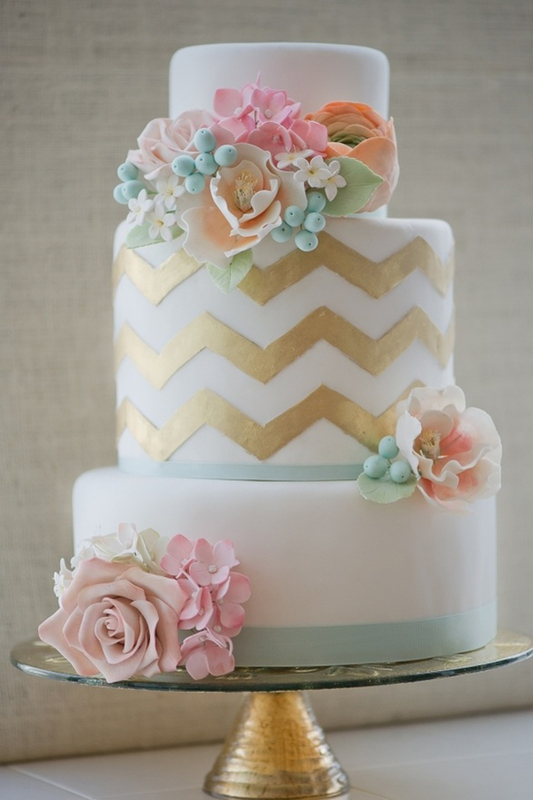 And this last glamorous gold chevron wedding cake design comes from Erica O'Brien Cake Design.